Important Notice: All information within is designed expressly for promoter use only. 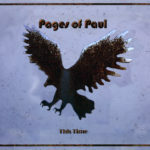 This page is dedicated to providing the materials you need in promoting The Pages of Paul band. Should you have any questions or need additional materials, please feel free to contact Mark Tomeo at: pagesofpaul@gmail.com. Click here to download Adobe’s Acrobat Reader. Its FREE.